You can play this card only when it is the last card in your hand. 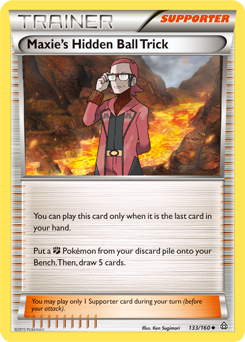 Put a Fighting Pokémon from your discard pile onto your Bench. Then, draw 5 cards.